From the M62 take exit 23 eastbound or exit 24 westbound following the Huddersfield signs to the ring road... and then the A616 marked Holmfirth/Sheffield. At the third set of traffic lights at Lockwood Bar with the Red Lion pub on the right go straight ahead through the traffic lights for half a mile and you will see our main entrance on the left just before a huge viaduct. Training is at the Lockwood Park All Weather Facility in Huddersfield. For the coming season (2008-2009) the training will start on Sunday the 7th September, with the last training session on April 6th 2009. There will be breaks for the half terms, Christmas and Easter holidays. For more details contact Claire Howe on 07812 106782 Under 10 and 12 Training This age group is for school years 3 - 7 - training is on Sunday mornings 10 - 11 am. This age group is for school years 8 - 11 - training is on Sunday mornings 11 - 12 am. The legal information on this website is provided “as is” without any representations or warranties, express or implied. 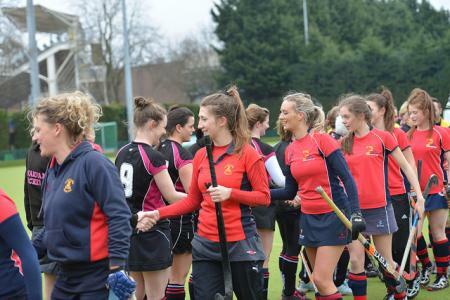 Kirkleesgirlshockeyclub.co.uk makes no representations or warranties in relation to the legal information on this website. Without prejudice to the generality of the foregoing paragraph, Kirkleesgirlshockeyclub.co.uk does not warrant that: the legal information on this website will be constantly available, or available at all; or the legal information on this website is complete, true, accurate, up-to-date, or non-misleading.